This modern stone top set belongs to the exquisite Shaker design series. It features a rectangle shape. This stone top set is designed to be installed as a countertop stone top set. It is constructed with stone. It is designed for a 3h8-in. faucet. This stone top set belongs to the shaker series. This stone top set features a rectangle shape with a modern style. This stone top set is designed for a 3h8-in. faucet and the faucet drilling location is on the center. This stone top set features 1 sink. This stone top set is made with stone. The primary color of this product is bianca carara and it comes with chrome hardware. 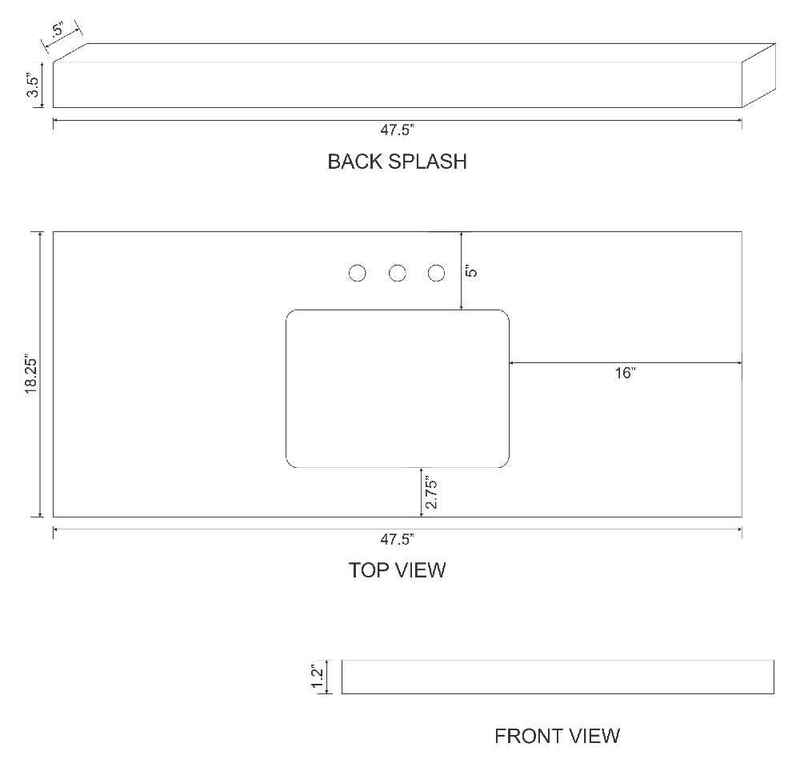 THIS PRODUCT INCLUDE(S): 1x undermount sink in white color (324), 1x stone top in bianca carara color (17456).